My FootDr Podiatry continues our tradition of pioneering the world’s finest footcare products in Australia. We are the first providers, outside of the United States, of the unique TAG Brace which is one of the most innovative products ever offered to diabetic and fracture patients. 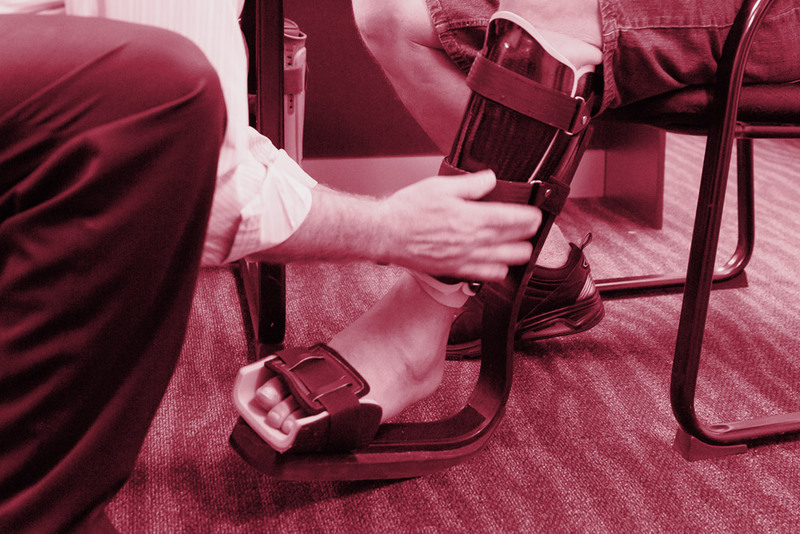 Toad Medical’s TAG Brace utilises patented prosthetic suspension technology, completely unloading the foot and ankle complex and eliminating pressure and shear which has been proven successful on patients that weigh up to 260kg! The TAG Brace has the ability to heal the most stubborn of foot ulcerations. The TAG Brace is the premier choice for Charcot’s Foot, lower limb fractures and reconstructions that require unloading such as distal tibia, foot, ankle and metatarsal fractures. By enabling the patient to ambulate during recovery time without the need for crutches, muscular atrophy is dramatically reduced while allowing the patient to apply weight to the rest of the skeletal structure to maintain bone density and stability. A significant majority of ulcerations are located on the plantar surface of the foot. Due to lack of vascular supply, sensation, and the extreme pressures and friction on the foot during ambulation, many of these ulcerations will turn to amputation because of our inability to completely unload the foot. Toad Corporation has now developed the first unloading brace to 100% unload the lower extremity. Every 30 seconds, a leg is lost due to complications from diabetes. There are 25.8 million diabetics in the U.S, 79 million pre-diabetic and 7 million undiagnosed. 285 million diabetics in the World. Estimated to be 550 million by 2030. Approximately 15% of those will require amputation. That is over 72 million patients with ulcerations. Approximately 156,000 amputations per year in the U.S.
Australia is currently the second worst in the developed world, behind the United States with approximately 85 amputations per week. Light-weight and comfortable carbon fibre. Greatly reduces muscular atrophy and disuse osteopenia and instability brought on by inactivity during recovery. Eliminates pressure and sheer on lower limb fractures and joint reconstructions. Supports patients up to 260 kg. No tourniquet effect – patella tendon loading. Rapidly heals diabetic foot ulcers. To have this custom made TAG Brace fitted, you will require an appointment with one of our podiatrists and orthotist. Please enquire about an appointment using our booking form.